All restaurant and bars open and close as stated in opening times. A minimum of two-course meal is required for Oshibori Lunch, which includes a main course and a choice of third and first course. Two main courses cannot be ordered as a 2 course Luncheon deal. A minimum of two persons required for Dynasty Afternoon High tea, where price is charged per person. Tea and coffee is included with High tea. A minimum of one main course per person is required for Oshibori Dinner, 10% service charge will be applicable if main is shared between two along with starters. Dynasty Dinner price is charged per person and one set meal cannot be shared between two or more people. Full price will be charged irrespectively of how many courses are consumed. 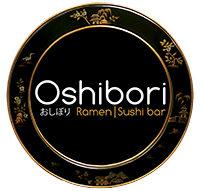 Oshibori Take away menu is available Monday to Thursday only and is solely for take away – over the weekend à la carte menu is served for both dine in and take away. For larger groups and orders you may be contacted to pre-order in advance to avoid longer waiting timings. For Oshibori Restaurant deposit is required for large groups (7 people and over), which is deducted from your final bill, for no shows deposits are not refundable and is also applicable for no show of certain members of reservation. 10% service charge is applicable on groups of 7 people and over. Cheques are billed at your table. For Dynasty restaurant, your credit card details will be required at the time of booking, you will only be charged on the day on dining, 48 hours notice is required for cancellations – No shows will be charged full price per person on the day of reservation. Groups of 5 and over for Dynasty restaurant’s high tea and dinner- a full payment will be required at the time of booking, for dinner pre-orders must be received at 48 hours before your visit. Cancellations must be made at least 48 hours before your visit otherwise the price of the food will be charged. If we have not received your food order by midday on the day before your booking your reservation will automatically be cancelled and a fee of £15 per person for high tea and £30 per person for dinner will be levied. We will do our utmost to contact you if we have not received your pre-order. For Dynasty restaurant parties of 6 and over a 12.5% service charge will be added to the total bill. Oshibori and Dynasty Restaurants cannot accept responsibility for bookings cancelled or subject to error if these notice periods are not observed. Late bookings may be accepted at our discretion. – The bill will be settled on the day/night. – Special requests: Table position requests are taken but not guaranteed. – Special diets: Please detail any special food/drink requests on your online pre-ordering form or email, giving as much notice as possible. Gluten-free, halal and vegan dishes are available, subject to pre-ordering. At least 48 hours notice is required. Please contact the Reservations Team for further information. – We request at least 3 weeks ‘notice for private dining cancellations. 50% Deposits are non-refundable for earlier cancellations and later cancellations will be 100% non refundable. – All menus & produce are subject to availability. – Reflecting the elegant nature of the interior and architecture, Dynasty Dundee has a dress code in different areas of the premises as follows: Gentlemen are required to wear a jacket and tie (jeans and sportswear are not permitted for either ladies or gentlemen) for afternoon tea and dinner in Dynasty Restaurant and Royal Garden. At Oshibori bar and restaurant smart casual attire is suitable. Please note that trainers and sportswear are not permitted in any of the restaurants or bars. – For parties children aged 13 and over are welcome in the allocated areas. – We do not provide children’s menus however we can adapt various dishes from available menus. – Please Note – we do not have any changing facilities or storage of prams. Oshibori has no restrictions for children including infants, however at Dynasty due to the nature of dining infants and children under the age of 13 are not permitted. – Nuts: All of our products may contain traces of nuts. If you require a nut-free menu, please ask the Reservations Office, however we cannot guarantee 100% that there will be no traces. – Visitors with disabilities: All facilities at the Oshibori are fully accessible to visitors with disabilities. – Any property damaged will be valued and charged accordingly. – We make utmost effort to provide you an excellent dining experience. Where every effort has been taken to ensure our diners are served the best quality and freshest ingredients. If you may have any concerns please notify a member of staff as soon as possible so that we can rectify the problem right away. Please be advised that we cannot deal with any complaint after you leave the premises. – Oshibori and Dynasty has the right to refuse entry to anyone at any times, including removal based on misconduct and unacceptable behaviour. – Data protection: Your details will be held on our reservation system to facilitate your future transactions safely and so that we can send you information on our menus and promotions, and occasionally conduct market research. – By entering the premises you agree to be bound by the aforementioned terms and conditions.